There’s a new Christopher Nolan movie on the way, and Warner Bros. is eager to get it on the schedule. The studio has announced that Nolan’s next “event film” will be hitting theaters on July 17, 2020. Beyond that, no further details about the project are available. No cast, no story, and not even a title. So why is it an event film? That’s because Warner Bros. has treated every post-The Dark Knight Nolan movie as an event film. It’s a strategy that’s largely worked out. Inception made $828 million internationally. Both Interstellar and Dunkirk followed with over half-a-billion each, worldwide. With that kind of record, the “event film” claim isn’t that dubious. Nolan first made an impact with his indie film, Inception, in 2001. His next film, Insomnia, was also a modest hit. But it wasn’t until Batman Begins hit theaters in 2005 that Nolan became a box office force in his own right. The Prestige was Nolan’s last movie to gross under $200 million worldwide. If Nolan’s next movie already has a release date, it suggests that details will be forthcoming soon. With a target date just over a year and-a-half away, production will need to begin soon. If it hasn’t started already. What do you think Christopher Nolan’s next film should be about? And which of the Nolan regulars would you like to see in this project? Share your thoughts and theories in the comment section below! And if you want to talk about the best Christopher Nolan movies, we’re always interested in that as well. 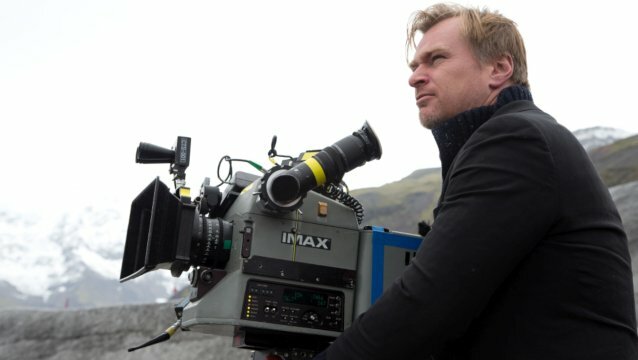 The post Warner Bros. Sets a Date For Christopher Nolan’s Next Movie appeared first on ComingSoon.net.